Monday, February 11, 2019 by: Isabelle Z. 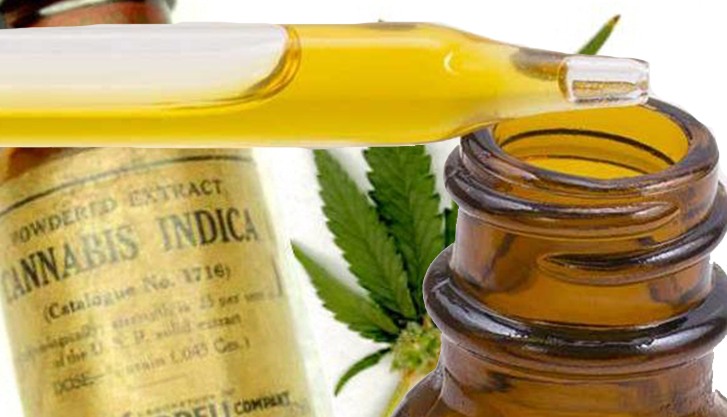 (Natural News) One big trend taking hold these days in Hollywood circles is a legal cannabis oil known as SwissX. This is far from a silly celebrity fad; CBD oil has been proven effective on the pain that those with multiple sclerosis and many other conditions suffer. In fact, it is one if the ingredients in the Sativex oral spray that has been approved in 11 countries to treat spasms and muscle stiffness in MS patients. Cannabidiol is one of the active compounds in cannabis and is extracted from the plant’s leaves, but it does not contain the tetrahydrocannabinol (THC) that is responsible for the “high” people get from marijuana. CBD is known for its anti-anxiety effects, and the National Institute on Drug Abuse reports that it can help reduce inflammation and pain. CBD binds to the body’s CB1 and CB2 receptors to create a strong inflammatory response that is natural, and it does not have any of the horrible side effects that many conventional pain medications can cause. While some celebrities can be heard singing the praises of the high-priced SwissX brand marketed by Hollywood “bad boy” Alki David, there are plenty of respectable CBD oils on the market to choose from that can help people get relief. It’s important, however, to seek sources that have undergone reliable and accurate testing to ensure you are getting what you are paying for. MS sufferer and blogger Nik Richie told the Daily Mail that he felt like a young man trapped in an old man’s body, with his hands, feet and legs all failing him. His pain and depression were so bad that he considered killing himself until he found relief from CBD oil. “Knowing that in seven years I’d be in a wheelchair for the rest of my life was traumatic. The oil has changed all of that, I feel like I actively live without the disease now,” he said. A 2012 U.K. study found that medical marijuana can improve not only the pain of MS patients but also muscle spasms, while other patients have reported improvements in sleep and vision, a reduction in abdominal problems, and lower bladder urgency. Beverly Hills surgeon Dr. Garo Kassabian has been using CBD oil to help patients deal with pain after surgery and to calm those who are anxious about needles. CBD’s incredible effects on pain have also been shown in studies to help cut migraine pain by nearly 44 percent while also helping reduce the muscle pain and stomach aches that sometimes accompany these brutal headaches. As CBD grows in popularity, it is making its way into more products. While CBD oils and tinctures remain a popular and effective means of delivery, some enterprising companies are coming up with CBD-infused honey, chocolates, coffees, teas, lotions and other treats. Multiple sclerosis is a disabling central nervous system disease wherein the immune system attacks the myelin sheath protecting the nerves in the spinal cord, brain and eye, creating problems with muscle control, vision and balance. Its cause is unknown, and it’s more common in women than men. While CBD oil can be very helpful for MS sufferers, other lifestyle approaches can also ease discomfort. For example, exercise has recently been shown to be highly beneficial in a major departure from previous advice that activity should be limited to avoid exacerbating fatigue. In particular, salsa dancing has been shown to be helpful because the steps involve back and forth movement between multiple directions. In addition, quitting smoking, lowering your salt intake, and spending more time outdoors to boost vitamin D production have all been known to help reduce the severity of MS.